Embrace the Easter spirit with our great range of Easter Fancy Dress Costumes, suitable for all ages. Impress your friends and family with one of these fun costumes, whether you’re organising an Egg Hunt, are involved in a play or just simply want to dress up for fun, we have a number of Animal Fancy Dress Costumes perfect to get festivities underway! Make this Easter a time to remember by dressing up in one of our great Easter Costumes. The costumes are Unisex, meaning they are both suitable for Men and Women, Boys or Girls. Start an Easter egg hunt dressed as the infamous Easter Bunny to add excitement to the day. Also available is a Chicken, Duck, Face Masks and Jesus Costume! Not forgetting the children; we also have Kids Easter Fancy Dress Costumes available for little ones - what better way to surprise your child than with a cute Bunny Costume or if you’re not looking for an outfit, perhaps this great value Rabbit Mask will do the trick, comfortable to wear all day long! Looking for another Animal? 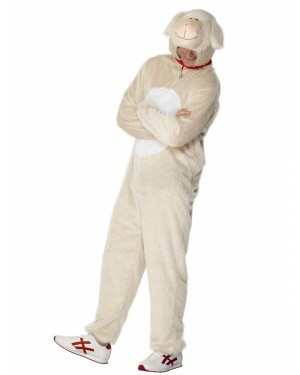 Check out our full Animal Costume range!